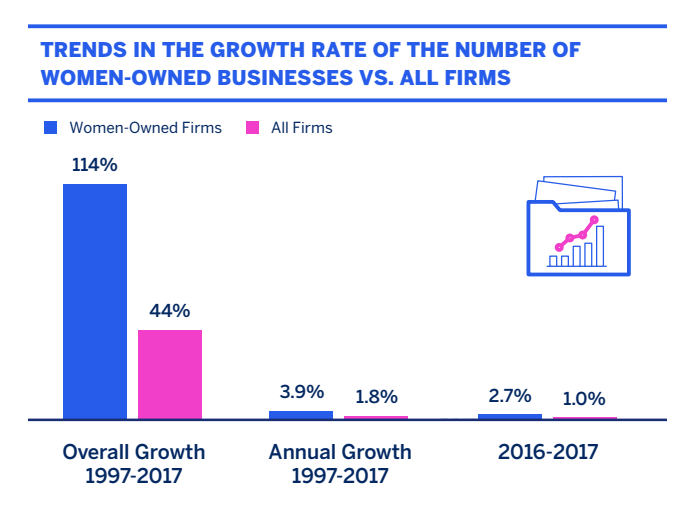 With a rapidly growing female entrepreneurial culture in the U.S. and abroad, the number of women-owned businesses has exploded over the past several decades and is expected to continue to grow over the next decade. With this growth has come an increased demand for business loans for women. Credit: The 2017 State of Women-Owned Businesses Report. Women-owned firms now account for more than $1.7 trillion dollars in gross revenue, according to the U.S. Census Bureau. However, despite this incredible progress, according to the Small Business Association, women still own just 31% of companies registered in the U.S., so there remains much progress that needs to be made. But this can only happen if you have access to the tools and resources you need as a woman to realize success in your business. And one of the most important of those is funding in the form of Unsecured business loans, either to get your business off the ground or to help expand during times of growth. However, it’s not good enough to just offer business loans to female entrepreneurs with perfect credit. Just as with any business, a more challenging economy has led to more female business owners having to deal with situations where they have less than perfect credit. Fortunately, various programs under the umbrella of alternative lending now offer female entrepreneurs several different options depending on your business’ needs and goals. Programs like Merchant Cash Advance and Bad credit business loans are now available powered by Fintech or Financial Technology. A 2014 study by Lakshmi Balachandra and associates at Northeastern University and Babson College found that, in companies of similar characteristics, small business loans for women were far less significant than regular business loans. “There is such a dominant conception in the world of finance that the successful entrepreneur is a young white guy,” says Balachandra. In addition to the financial crisis of 2008 and its aftermath making business loans for women and men alike harder to acquire, the need is greater than ever for more specialized and comprehensive options for female entrepreneurs. This is why, at Excel Capital, it’s so important to us to assist female entrepreneurs to get small business loans for women and provide them the capital they need to succeed. That’s why we’ve created the most comprehensive list of funding programs and options available to female entrepreneurs online. We call it the small business loans for women initiative. There are several programs available now in the small business loans for women initiative that make it easier than ever to obtain financing, whether you need funds to prepare for your first growth phase or you’re entering a massive expansive. Alternative lending is arguably the strongest and most dependable option available as it doesn’t depend on any particular timetable (you can get approval in as little as 48 hours). In addition, alternative lenders have no made business loans for women with bad credit a reality. No longer are major banks the sole gatekeeper barring you from entree without impeccable credit. We have several funding instruments available to you that take into consideration your entire business’ health, from credit to revenue, profit, cash savings, and other factors so that we can take a fairer and more accurate snapshot of your business with which to approve you. Alternative lenders typically provide term loans up to $500,000, though the funding amount can grow to millions when partner organizations are involved. Also, in most cases, no collateral or personal guarantee is required. An unsecured business loan is based on your gross sales and cash flow. It doesn’t require collateral or a personal guarantee and loan amounts reach upwards of $5,000.000.00. Learn more about unsecured business loans. A business line of credit is a revolving credit amount which you can tap into whenever your business needs it. It can be used for virtually anything and, provided you pay off your balance, you can continue to use the line of credit. Split funding, or also know as a merchant cash advance, is ideal for businesses who accept primarily credit card transactions and have fluctuating sales periods. Split funding takes a small percentage of recurring credit card sales until the loan is repaid. So, while if sales are up that amount goes up, but if sales are down that amount is lower, making it easier to manage repayment. Learn more about split funding. Term loans are quick chunks of cash obtained for the purpose of fulfilling a short-term or medium-term business need, such as replacing broken equipment or manufacturing additional product before a busy season. Learn more about term loans. A second great option is obtaining one of several different business grants for women. Business grants are great because they don’t require you to pay them back (in other words, free money), however, it’s much harder to obtain a business grant than it is to obtain a business loan. Despite the trade-off, they’re a valuable option which can and should be considered. Microloans are smaller loans compared to typical business loans or grants which are typically designed for specific industries and types of businesses. If you’re looking for a little capital to jump-start your business or expand, a microloan might be perfect for you. Last but not least are venture capital and angel investors. The options mentioned so far have been, for the most part, debt financing. However, both venture capital and angel investors are considered equity financing. The difference is in what you owe in exchange for the funds. In debt financing, you owe money. Once the loan is repaid, you owe nothing. However, with equity financing, you “pay back” the loan by giving said venture capital firm or angel investors a certain amount of equity in your company or a portion of ownership. It’s no surprise why many small business owners prefer a one-and-done debt-financed loan. The idea of offering a slice of your business is a little scary. However, ultimately, it’s up to you to decide which tradeoff you prefer. According to a meta-analysis performed by PwC and The Crowdfunding Centre of over 450,000 crowdfunding campaigns, women business owners who use seed crowdfunding platforms such as Kickstarter and IndieGoGo are not only reaching target goals, they’re doing so at a rate that is greater than male-led campaigns. However, it’s important to note that a crowdfunding campaign can easily take more work than any other option on this list, so there are clear advantages and disadvantages. Even the title, “woman-owned business,” denotes the minority status of female entrepreneurship. You’ll never hear the corresponding, “man-owned business” mainly because it’s more common and expected. For years, the top leadership roles in the business world have been reserved primarily for men. 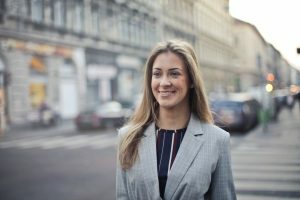 While the face of today’s business owner is changing and more women are establishing and leading their own companies, many challenges still exist; especially in the area of business financing. Statistical data acquired through research by the Global Initiative for Women’s Entrepreneurship Research (GIWER) at Babson College has shown a system-wide bias against traditional small business funding for women. Key financing obstacles cited include low revenue, limited access to capital for expansion and lack of knowledge. In 2011, a mere 3 percent of women-owned businesses earned more than $1 million and close to half were so unfamiliar with the lending process, they didn’t even seek working capital for their businesses. Many women executives lack confidence in their business acumen and are intimidated by their male counterparts. Many over-compensate by taking on a stronger approach to business and may even become overly aggressive. While these attributes may be applauded in a male business owner, they are often misinterpreted by lending institutions and investors as harsh. According to a 2014 Babson College report, less than 3 percent were able to secure start-up capital through private investors. In addition, venture capitalists typically invest in start-ups with similar backgrounds or partners. With “women-owned” small businesses in the United States in the minority, the odds seem to be against them. And that’s exactly why we have the small business loans for women initiative. The emotional and nurturing side of women can often affect their business decisions. 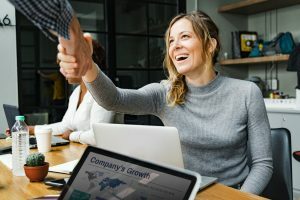 Traditional lenders and investors may shy away from giving business loans to women CEOs because they fear these attributes will be a hindrance to effectively running a business. Their concern is that women won’t be able to make the difficult decisions or they’ll become too emotionally involved and lose focus of their primary business goals to make money, instead of friends. The same concern of work-life balance is a deterrent to support of women executives and owners who are also raising families. While women have been juggling the responsibilities of work and children for years, there are still those that question a woman’s ability and commitment to truly achieving balance in both areas. This makes financial support a higher risk. The fear of failure is the number one concern among women starting their own business, according to Babson College’s 2012 Global Entrepreneur Monitor. While men may have the same concern, they are more likely to push through the fear and ask for what they need. Women entrepreneurs still face many obstacles in securing start-up financing, working capital or growth funding. Many female-based businesses are at a disadvantage when seeking financing through banks. Non-traditional companies sell products or services online or direct to the buyer. Although they can function well without a brick and mortar facility, they have no collateral. This is a problem for most bankers. The Women’s Business Ownership Act of 1988 outlawed severe discriminatory practices such as male co-signer requirements for business funding. According to Gaebler.com, female approval rates still lag behind male approvals by up to 20 percent. Poor credit scores may be another obstacle. On average, women’s scores are 20 points below men. While not terribly significant, tighter restrictions on lending after the 2008 credit crisis have made even small variations more difficult to overcome. Low revenue and cash flow instill a cautionary review of all women-owned businesses. Underwriters look for strong debt management. With approximately two-thirds of these companies drawing less than $25,000 in revenue, according to Wells Fargo & Co., there’s little to go on. Lack of education is also cited as an obstacle to business financing. Often women have little experience in the process or documentation needed to secure an investment. While they may be passionate about their concept, they often lack a clear business plan. Without the ability to explain what they’ll use the money for or how they’ll pay it back, they’ll likely be denied. Accessing capital for their businesses can be achieved through education. The U.S. government has recognized the need for support and now offers online tools, training and one-on-one counseling assistance to help women apply for business capital. The Small Business Administration also provides a guarantee to those willing to lend money to small business owners. This reduces the risk of default and is becoming extremely popular among female owners. In fact, the SBA indicates that approximately 54 percent of all 2011 small business financial packages were awarded to organizations with a woman as majority interest. Many female executives are familiar with the obstacles and are choosing alternative resources. Peer-to-peer financing and government assistance programs have provided capital for many new start-ups. Today, there are other financing options available through providers such as Excel Capital Management. Creative financing solutions are designed to assist small businesses that are unable to obtain capital through traditional sources. Women-owned businesses no longer need to worry about bad credit or lack of collateral from pursuing their dreams. Merchant cash advances only require a minimum annual gross revenue of $100,000. Working capital is available in a few days and payments are affordable. Unsecured financing options available through Excel Capital offer flexibility and have no credit score requirement. Female entrepreneurs can breathe easy when selecting this method of funding. The strict guidelines and lengthy approval process required by conventional banks are no longer an issue. For those business owners looking for lower rates and fixed payments, ACH Loan funding may be an attractive option. This financial alternative accesses future revenue to purchase resources needed to move their business forward. The only qualifications needed are average monthly bank balances over $1,000.00 and 5 or more Monthly Deposits along with over $100,000.00 in Annual gross revenue. Another popular funding method can help women managers retrieve payment on outstanding invoices faster. By selling those invoices at a reduced rate to a finance company, working capital is available to keep the business running. As with the other alternative options, no credit scores or assets are required to qualify. The game has changed for women-owned small business and Excel Capital is leading the charge with the small business loans for women initiative. No longer at the mercy of conservative lending practices, enterprising leaders are free to explore just how far their business can go. Without the restrictions of a traditional, outdated lending system, owners can use new capital to hire additional staff, purchase inventory, upgrade facilities, advertise, consolidate debt or expand their company. Not every business undertaking is destined for greatness. With the proper tools and support, every business has an opportunity to grow and achieve financial independence. There is no better time for innovative women to challenge themselves and reach for career advancement in the form of ownership. Resources are now available to address the educational gap between men and women, government programs offered through SBA help women overcome barriers, and alternative financing gives start-ups and growing companies a real opportunity for success. As noted in the recent census data, women-owned businesses are growing at an exceptional rate. The economic impact is close to reaching $3 trillion which represents nearly 23 million jobs. It’s apparent that these organizations are major contributors to the success of the country and deserve financial equality across all platforms. While there is more that can be done to improve product and service availability in the WOSB niche, it is encouraging that alternative funding institutions such as Excel Capital Management are providing solutions in an under-served market. In addition to crowdfunding, venture capital, angel investors, microloans, grants, and business loans for women, there are additional resources designed for female entrepreneurs looking to launch their startup or maximize the growth of their existing business. By becoming certified as a women-owned business, the NWBOC offers female entrepreneurs access to government contracts, which can be a great opportunity depending on your industry and business model. Womensphere Venture is a startup incubator specifically created to help women business owners in the fields of science, mathematics, technology, and engineering. The incubator includes live events and online class. The Small Business Administration’s Women-Owned Business Program offers several resources to women-owned businesses including grants, special funding programs, and government contracts across 83 different industries. The world might still be catching up, but we know the power of women in business That’s why we want to help. Until recently, obtaining funding for a small business was extremely difficult. If you didn’t have perfect credit, you were out of luck. But we’ve created a more sensible, streamlined system for getting you the funds your business requires for growth. We take a full forecast of your business’ health into consideration including revenue, profit, debt-service coverage ratio, credit, cash, and other factors, all so we can obtain a clearer, more accurate view of the state of your business. To find out how much you qualify for, simply complete our short, one-page application by clicking here and make sure to include your last 4 months of business bank statements. Get an approval decision within 24 hours and, pending approval, funds in as little as 24 hours as well. Imagine what financing could do for your business, from paying for new hires to free you up to focus on what you’re great at to getting brand new equipment that takes your product to a new level. Business is tough enough already– don’t let a lack of funding hold you back from realizing your business’ goals.